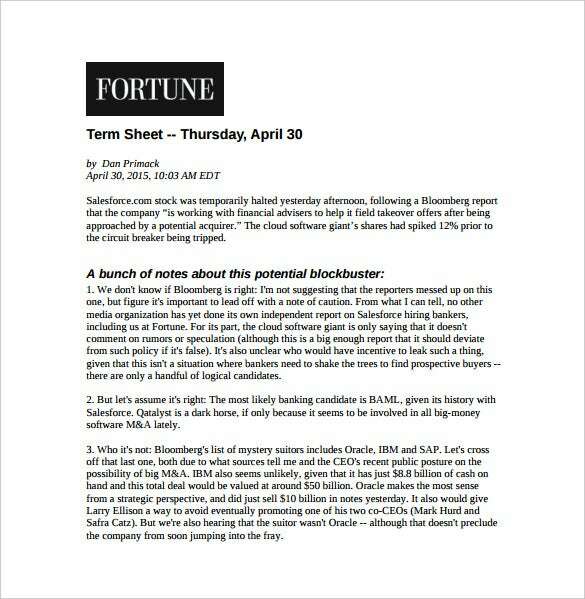 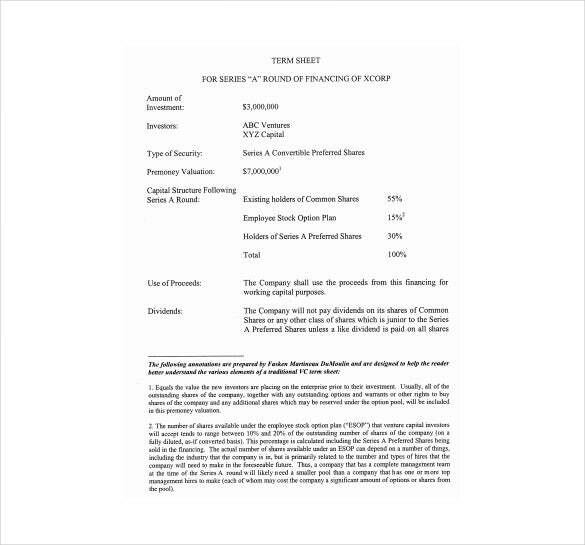 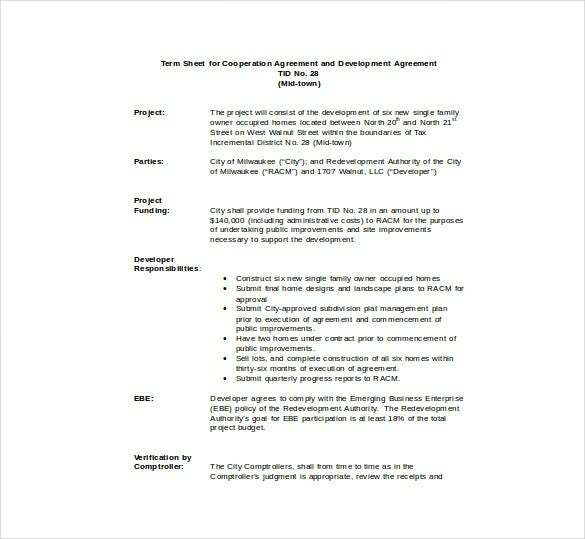 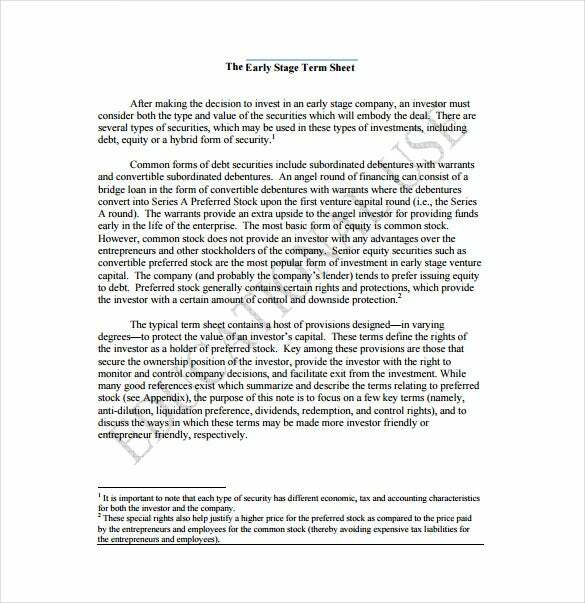 12+ Term Sheet Templates – Free Sample, Example, Format Download! 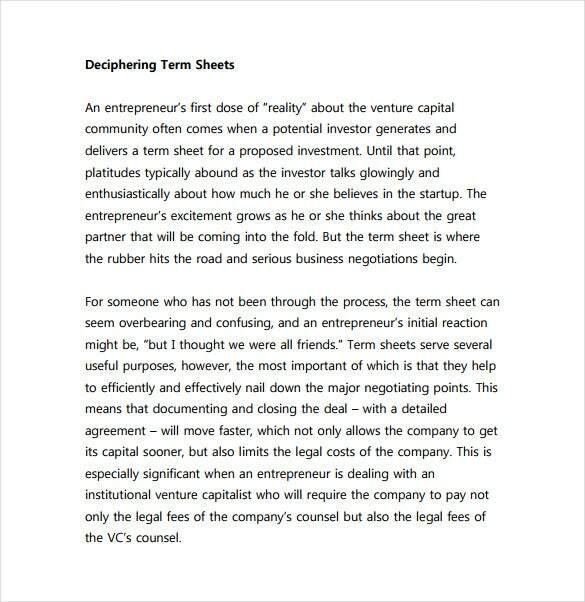 A term sheet is a vital document of trust between an investor and a company. 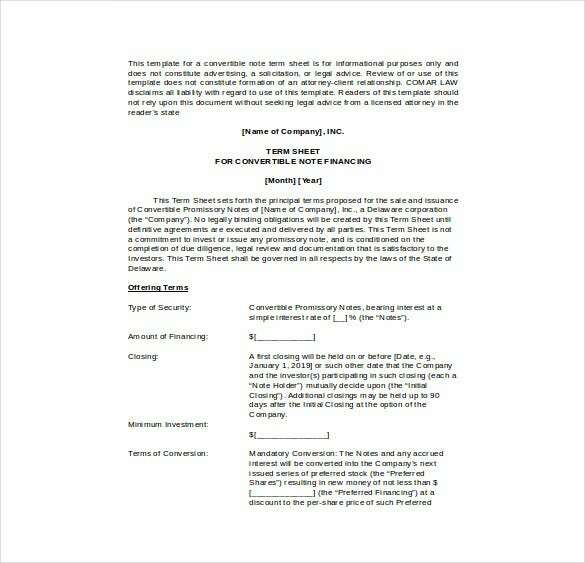 It is a draft that outlines the terms under which the investor would be making an investment into a company. 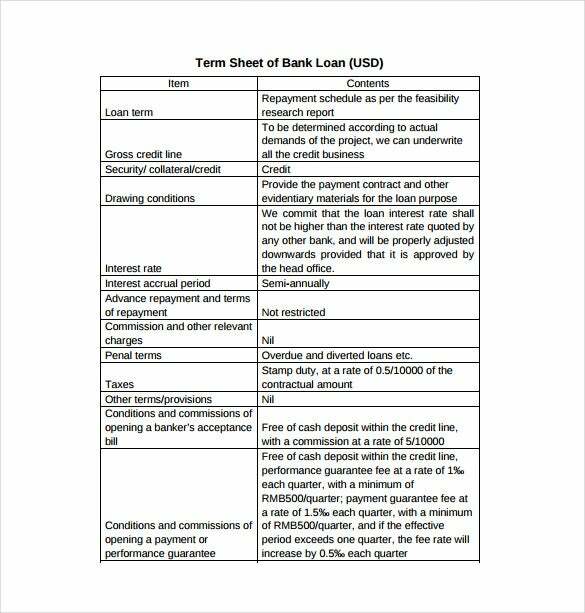 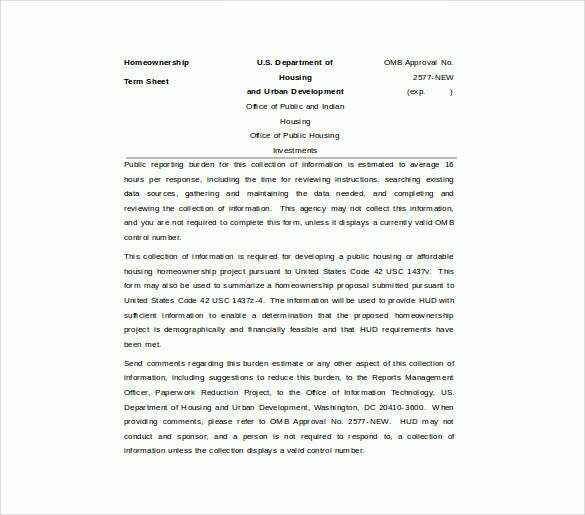 Thus, both the parties are bound by the terms provided in the term sheet. 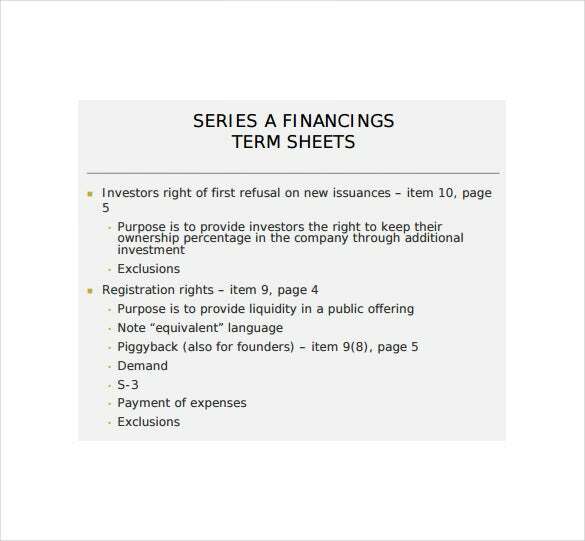 A term sheet template can be downloaded from the internet in order to get a set format for the crucial agreement that supports the investor-company relationship. 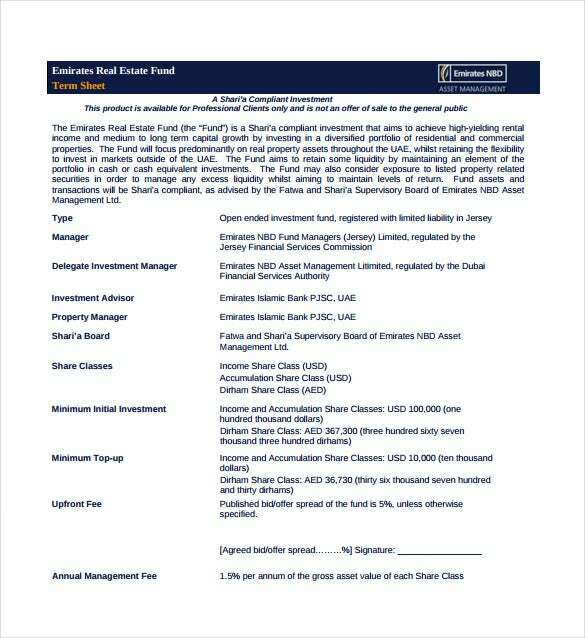 We offer various types of term sheet template which can serve as fine example for investors and companies. 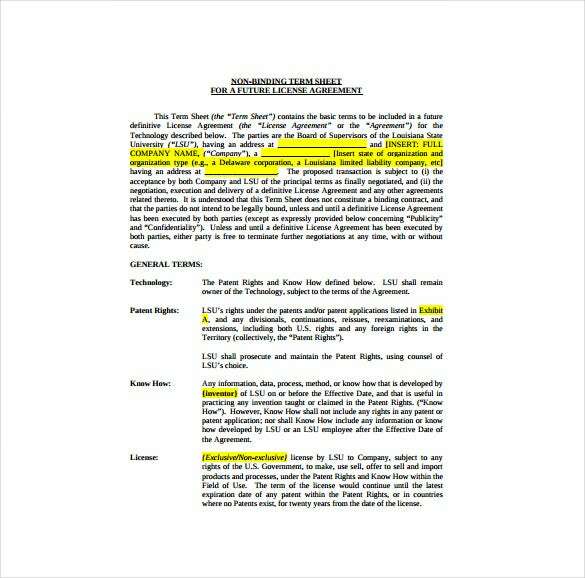 You may also like Fact Sheet Templates. 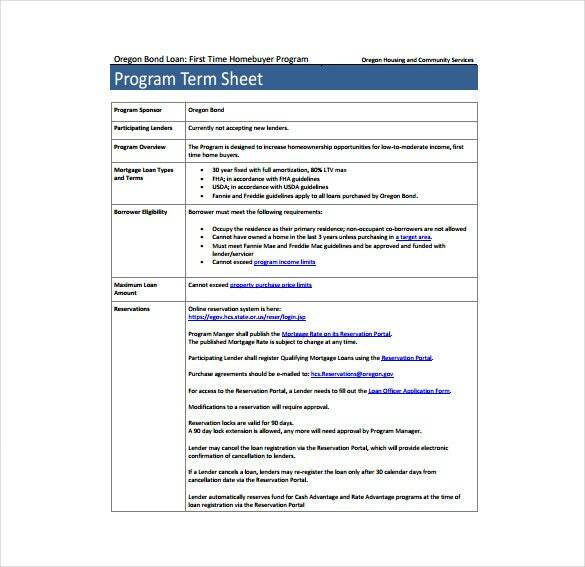 These Sheet Templates templates are customizable and can be reused when required.